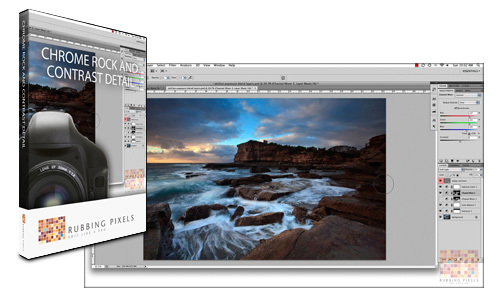 A new video tutorial added to the Rubbing Pixel website looks at a technique that not only adds contrast detail to an image but on seascapes it will also add a great Chrome / Metallic looks to the rocks when applied. The tutorial shows you the technique and it’s application on two images so you can see the result for themselves. It wont work on all images but it is a great technique to have up your sleeve. The tutorial is free to all Rubbing Pixels members or available for purchase for $5.99. To view the tutorial please click here. This entry was posted in Uncategorized and tagged chrome effect, contrast detail, metal effect, photoshop, retouching techniques. Bookmark the permalink.